The concept is just super original and cool! Execution was good for middle grade readers but a bit lacking in terms of mature themes for young adult audiences. I personally have no problem with the storyline because it was nicely crafted and neatly played out. Nothing was written for convenience’s sake and everything happened for a purpose. The basic formula for fantasy was very obvious with the plot device aka the needle and the quest to save the world. Despite all this, it didn’t detract me from enjoying the plot. There’s a lot of mixing of past-tense and present-tense actions in the same sentence and it may be grammatically correct but still very ill-fitting. It’s not well-written in terms of eloquence and it’s poorly labelled as ‘young adult’ and it’s a terrible choice to market it to YA audiences. I’m not sure how to describe it exactly but since it’s the author’s début, Woven as an entirety needs improvement and lacks the refinement/polishing that accompanies many books. The romance was also very unconvincing and although I’m satisfied that it wasn’t highly prioritized, it played a major role in the reason for embarking on the whole journey. The interactions between the princess and the peasant was wholly boring and there was nothing that spiced it up for me. I did not feel the infatuation and there were positive characteristics to each character but they were not flattering in the romantic sense. That part really fell flat for me and that particularly harmed the book. The chemistry was nonexistent. There was no effort to set up vulnerable, emotional scenes that bonded the duo aside from just basic constant proximity and unity through a common mission. In all cases, it wouldn’t have made any difference if they were pitched as siblings instead of a couple. Don’t get me wrong though, the premise and idea of threads that intertwine everyone’s lives has a fresh twist of originality and the writing is easy to breeze through.The writing may not be good enough to qualify as YA but it’s not too juvenile for middle grade readers. 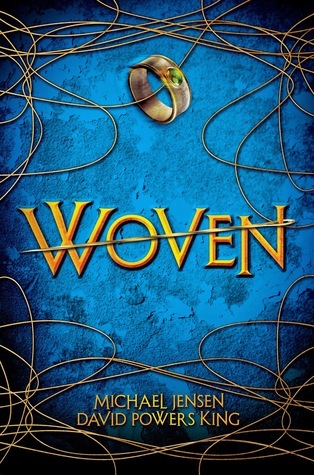 So any of you middle schoolers that are searching for an entertaining tale, look no further and sit down with Woven. The weak romance in this scenario may actually be a positive and work out well to please younglings whose attention will be enraptured by a simplistic fantasy of questing. Give this book a try to see if it’s to your liking but those who crave heavier and darker themes will do best to shy away. Mature high fantasy books by Joe Abercrombie, Melina Marchetta, Garth Nix, Brandon Sanderson, Pierce Brown, and Patrick Rothfuss is where all the goodie’s at. Rick Riordan, Diana Wynne Jones, Eva Ibbotson, Brandon Mull, Nancy Farmer, Neil Gaiman, Marie Rutkoski’s first series, Shannon Hale, Gail Carson Levine, and of course, J.K. Rowling. Thank you Scholastic from Edelweiss for providing me with a copy of this book. I’m not blown away and the book description was misleading. Well, it’s not a first when the description does not do a good job at marketing and selling the story ingenuously. However, it’s still startling to find no magic and bedazzling witchcraft despite reading book reviews that have warned me about the lack. I don’t know how to describe Nathan. I suspect he might have dyslexia.It’s weird to say it but after several hundred pages, I still don’t have a good idea of his personality. I know he is quick and prone to anger, insecure about his body and visage, and smart even though he can’t read. The world-building is still shoddy even though it’s supposed to take place in modern-England. Yes, we are forced and emotionally manipulated to sympathize and root for Nathan and I feel terrible for all the torture, beatings and misdirected hatred at the hands of White Witches. Nevertheless, there is no clear line as to any ulterior motives besides revenge and hostility against Black Witches which cause White Witches to be ruthless Hunters. So the rift that divides Black Witches and White Witches is a centuries-old blood feud and irreconcilability of differences? Black Witches’ killings of the Whites still sounds like a groundless excuse for White Witches to take up the mantle of righteousness and train Hunters to retaliate. 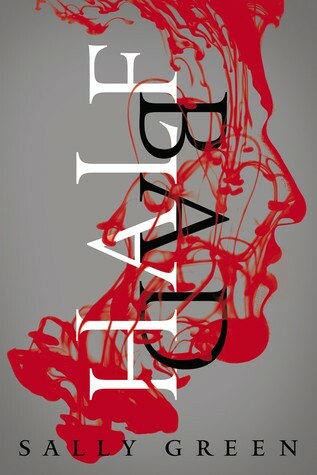 I’m not on either side of the Black or Whites; I’m on Nathan’s side and I think the author does a good job in showing the ambiguity of good and evil which I hope is what she intended. I still plan to read the sequel and see Nathan’s journey through. This is ultimately a book about a boy’s search for identity and I like that he learns from his mistakes. Nathan is lost throughout most of the book but he has a lot of potential.